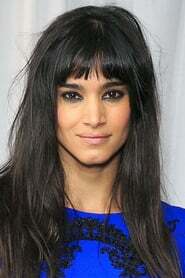 Sofia Boutella (born April 3, 1982) is an Algerian dancer, model, and actress. She is known mainly for her hip-hop and street dance, and for appearing in Nike Women's advertising campaigns. Boutella has starred as Gazelle in Kingsman The Secret Service (2015), an alien warrior named Jaylah in Star Trek Beyond (2016), and the main antagonist, Princess Ahmanet, in Universal's Dark Universe film The Mummy. Also in 2017, she starred alongside Charlize Theron in Atomic Blonde, the film adaptation of the graphic novel The Coldest City, as undercover French agent Delphine Lasalle. Description above from the Wikipedia article Sofia Boutella, licensed under CC-BY-SA, full list of contributors on Wikipedia.